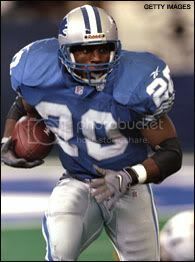 HARD HITTING DETROIT LIONS FORUM - View topic - Various 2012 NFL Mock drafts. Various 2012 NFL Mock drafts. Re: Various 2012 NFL Mock drafts. Just remember that before you go off criticizing a mock draft, many of us have undertaken that foolish stance in the past and have been made to look foolish because the mock that was posted by [insert name here] was actually better than we thought. I'm no fan of Florio or PFT, but you never know what type of insight they are getting from teams and scouts that we aren't. what are you talking about? Curry is the best Linebacker to ever come out opf college and play pro ball! we totally missed on him by picking Stafford!!! Thank God this mock looks bad to most of us, that way when I finally post mine on here it wont look as bad. I personally like it when a mock draft doesn't follow the rest - they get you thinking. The Goose's mock never looked like anybody else's and he was more accurate than just about anyone (and told he was crazy about every year). That said, Florio is no Goose! wow either thats just awful, or NONE us have a clue how things are going to fall. A premier guard going before (arguably) 2 premier OT's? Where is the kid with the imaginary GF? M'Teo (sp?) I have YET to see a mock that didnt have him going first rd. the rumors I hear have him going to the bears if he is still there....but here he's not even going in the first? Where are you seeing Teo going in the first? I haven't seen that since the combines. Pat Kirwan's first official mock of the year. (He also does a mock every Friday on Sirius/XM radio with Tim Ryan. One picks the even numbers and the other picks the odd. Closer to the draft, they add Jim Miller into the picking rotation. _ Last Friday was their 1st of the mock season and we got Fisher). I hope he is wrong about the Falcon's pick. I am hoping Okafor will be there for us in the 2nd round. FANTASY BASEBALL PRIZE LEAGUES - WIN UP TO $5,000 PER LEAGUE! (2-14)	Eric Fisher, OT, Central Michigan: Fisher still keeps my top spot -- mostly because two NFL offensive line coaches swear he's better than Joeckel. The Chiefs reportedly are trying to move out of the top spot. Good luck doing that without a premiere QB in the top of the first round. (2-14)	Dion Jordan, DE, Oregon: Joeckel may have a higher grade, but the Jags need to improve the pass rush. Jordan can do it all -- as a rusher and when dropping into coverage. (4-12)	Sharrif Floyd, DT, Florida: If Floyd goes ahead of the Raiders to Jacksonville, it will be interesting to see if the Raiders pull the trigger on acquiring Geno Smith. (4-12)	Geno Smith, QB, West Virginia: It will be hard to pass on a QB with the skills and production to run Chip Kelly's offense. Owner Jeff Lurie was at his pro day, and that rarely happens. (4-12)	Luke Joeckel, OT, Texas A&M: Jeff Backus retired, so if this pick is not Joeckel, it will be Eric Fisher. Either is a plug-in starter for 10 years. QB Matthew Stafford is a right-handed pocket passer and needs to be protected. (5-11)	Dee Milliner, CB, Alabama: The Browns are in need of a corner and Milliner is the best in the draft. I wouldn't be surprised to see a team try to trade up before Cleveland to get him. (5-11)	Jarvis Jones, OLB, Georgia: Jones will pass most physicals and led the nation in sacks last year. Jones made 74 plays behind the line of scrimmage in his college career and no team has too many players with those skills. (6-10)	Matt Barkley, QB, Southern California: The Bills will be in full force at the Barkley pro day this week and they need a starting QB. Barkley is the most NFL ready and his arm strength issues will be resolved on March 27. (6-10)	Barkevious Mingo, OLB, LSU: Mingo has rare athletic ability, similar to Jason Taylor when he came out of college. Mingo can rush standing up or with his hand on the ground. It's been a while since the Jets had a player like Mingo. (6-10)	Star Lotulelei, DT, Utah: Lotulelei can be disruptive from the "3 technique" position and play on the nose. The Titans need a great inside pressure player and will be lucky if he's still on the board. (7-9)	Lane Johnson, OT, Oklahoma: The Chargers need a left tackle and Johnson could be the last of the first-round candidates. He's capable against speed rushers, but needs work against power. I would not be surprised to see a team jump over San Diego to snag Johnson. (7-9)	Xavier Rhodes, CB, Florida State: Miami lost Sean Smith in free agency and need a big corner to replace his skills. Rhodes has rare size, in addition to long arms, to make him disruptive. (7-9)	Bjoern Werner, DE, Florida State: Werner is too good to pass up at this point in the draft. The Bucs need corner help and there should be good corners in the second and third rounds -- like Robert Alford, and Tharold Simon. (7-9)	Sheldon Richardson, DT, Missouri: The Panthers need quality players on the inside of their defense. Richardson is explosive and capable of being an opening day starter at the "3 tech." (7-9)	Ezekiel Ansah, DE, Brigham Young: The conversion from the 4-3 to the 3-4 is always a challenge. Ansah could be an OLB or a DE. He is not as raw as some believe -- his Senior Bowl performance backs that up. (7-8-1)	Kenny Vaccaro, FS, Texas: The Rams have two picks in the first round and the best safety in the draft is a good fit for an already-solid defense. Vacarro has match up skills and can handle a slot receiver or play deep middle and half-field coverages. (8-8)	Desmond Trufant, CB, Washington: The Steelers may consider an OLB like Damontre Moore here, but they need a starting corner opposite Ike Taylor. There's no way William Gay is the 2013 starter. (8-8)	Chance Warmack, OG, Alabama: The Cowboys have not been active in free agency because of salary cap problems. Warmack is a Dallas throwback to the days of Larry Allen. He will protect the midline, where Tony Romo likes to throw, as well as open up holes for the running game. (9-7)	Jonathan Cooper, OG, North Carolina: A little run on guards in the second half of the first round. Cooper is a plug-in starter on the left side who can pull on sweeps, as well as protect Eli Manning. (10-6)	Alec Ogletree, OLB, Georgia: Brian Urlacher is done in Chicago, D.J. Williams was signed -- and Ogletree is a perfect candidate to join the Bears linebackers. Ogletree told me he prefers inside but most teams have been talking about outside. Lance Briggs isn't getting any younger and Ogletree has a Bears mentality. (10-6)	D.J. Fluker, OT, Alabama: If Andre Smith returns, then this pick doesn't happen. If Smith leaves for greener pastures, then big Fluker is a natural fit. One coach told me he thought Fluker could play on the left side. And if that's the case, he's long gone by No. 21. (7-8-1)	Tavon Austin, WR, West Virginia: Danny Amendola is now with the Patriots, and Austin is a playmaker who takes Amendola's spot in St. Louis. In the past two seasons, Austin averaged 107 receptions and 10 touchdowns -- plus 25.7 yards in kickoff returns and 13 yards per punt return. He could easily touch the ball 10 times a game as a rookie. (10-6)	Datone Jones, DE, UCLA: Kevin Williams isn't getting any younger and Jones can play anywhere across the front. Jones is a versatile player who will get work at end on run downs and inside on passing downs. (11-5)	Damontre Moore, DE, Texas A&M: The 20-year-old pass rusher may have run a slow 40 in Indy, but he still produced 73 plays behind the line of scrimmage in 23 college starts. (10-6)	Justin Hunter, WR, Tennessee: My surprise pick of the first round. He is a solid X receiver who has leaping ability and vertical speed. He averaged 17.1 yards per catch at Tennessee. (11-5)	Eddie Lacy, RB, Alabama: Lacy is the best running back in the draft and the Packers need a guy who can handle 20 touches a game. Why reach for the fifth-best pass rusher or fifth-best offensive tackle? (12-4)	Keenan Allen, WR, California: The Texans need a wide receiver opposite Andre Johnson. I might prefer DeAndre Hopkins (and his 18 touchdowns last season), but Allen could be higher rated on the draft board. (13-3)	Johnathan Hankins, DT, Ohio State: The Broncos signed wide body Terrence Knighton, but still need a disruptive defensive tackle with skills to penetrate. They could consider Sylvester Williams or Jesse Williams in this spot, too. One thing for sure: If they don't take one here, the good ones all will be gone by the next time they pick. (12-4)	Cordarrelle Patterson, WR, Tennessee: Amazing if Patterson still is on the board here. If he's gone, they easily go after a defensive lineman or a corner, but I think they need another wide receiver with Brandon Lloyd gone. (13-3)	Alex Okafor, DE, Texas: The Falcons need a pass rusher in the worst way, even after reportedly landing Osi Umenyiora. Okafor is a good athlete who could play standing up or down in a three point. He's also a high character guy, a trait the Falcons value. (11-4-1)	Sylvester Williams, DT, North Carolina: The 49ers could take Alabama's Jesse Williams here, but Sylvester is my choice because of his athletic ability. The point is the draft sets up perfect for the 49ers without moving. (10-6)	Kevin Minter, ILB, LSU: Some will call this a bit of a reach -- or the spot for Manti Te'o. The Ravens need a middle linebacker, and I believe Minter is better than Te'o. He gets off blocks better, is a better tackler and an upgrade in coverage. trade down with Bills in round 2 so they can jump AZ for Nassib. We get their third and fourth round picks. #135(compensatory) Marcus Lattimore or Kenjon Barner RB we could afford to let Lattimore sit out the season since we have Bush and LeShoure. He'll likely go before this however with his talent despite injury. Barner offers some return ability. This would give us 4 starters and a role player in Goodwin and we still have 5th, 6th and 2 7ths to add depth. IMO Lattimore will be long gone by the end of the 4th, and possibly Barnes too. I could be wrong, we'll see. I don't think the Bills would give up a 3rd and 4th to move up in the 2nd round. Personally I'd rather stay put in the 1st and second rounds, unless the draft goes horribly wrong. If a good DE, CS, OG, or OC falls in the 2nd, IMO you take that player. We need talent and we need starters. Amerson was still on the board in their mock. He lasted until pick 92. Wowo. Yeah I figured amerson went in rd 2, and didn't see any CB in the 20 picks after the Lions so figured gratz made sense. Amerson should go before gratz imo, and would be a logical choice there if he makes it to 65. No Slams, I like it, although I think Buffalo is smokescreening that they will take a QB at 8 hoping someone ahead of them does so someone falls. I think they will trade up in late 1st or stand pat in 2nd to take Nassib. I also don't see warmack making it past SD (even though you hae them taking an OG), there are many who still think he is the best prospect in this draft. NFL.com's 7 round mock draft posted today. The Lions picks follow. 5. Detroit Lions: Lane Johnson, OT, Oklahoma. The Lions might have to move up to secure one of the top three tackles. Johnson could grow into being the best of the bunch. 36. Lions: Cornelius Washington, DE, Georgia. Washington was misused in 2012, asked to occupy blockers from the 5-technique end spot in a three-man front. Put him out wide and let him wreak havoc. 65. Lions: Robert Alford, CB, Southeastern Louisiana. 132. Lions: Khaseem Greene, OLB, Rutgers. 137. Lions: Lavar Edwards, DE, LSU. 171. Lions: Tavarres King, WR, Georgia. 211. Lions: Jeff Locke, P, UCLA. 245. Lions: T.J. Johnson, C, South Carolina. All in all not a bad draft. But, I doubt Green in the 4th, and I expect them to go WR earlier than the 6th. That's actually a pretty fantastic layout for Lions if it happens. IMO Id rather get Alford near the end of rd 3, but since we have no rd 4 pick to trade up from, beggars cant be choosers.